If you’ve been following along on the blog for a while, you’ve definitely seen me wearing some awesome dresses that I rented from Best Dressed Charlestown– like here, here and here. Boston ladies, Best Dressed offers gorgeous dress rentals for all your event needs- and you can try them on before you wear! 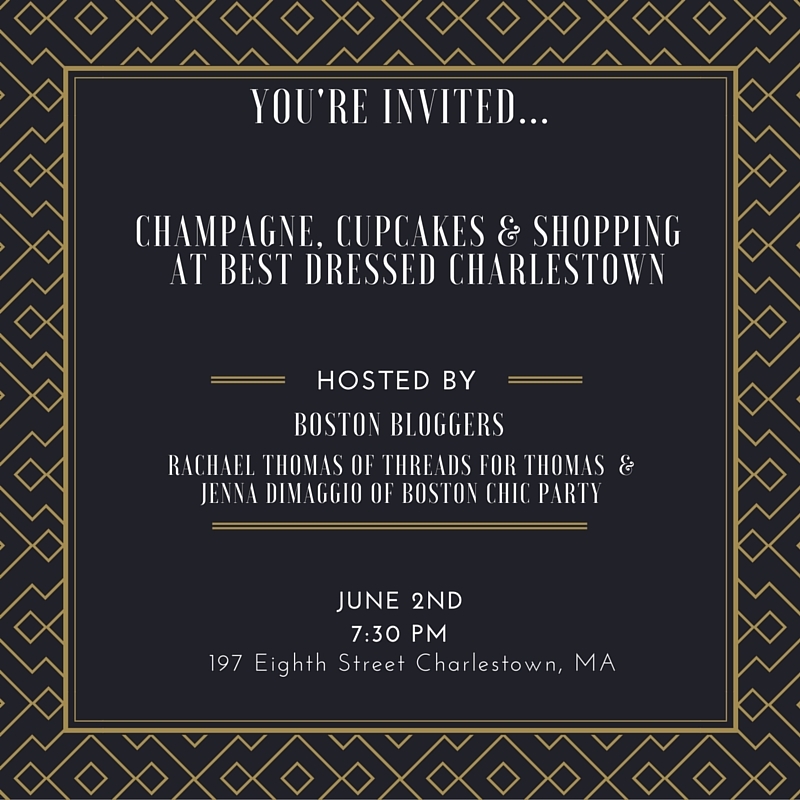 This Thursday, June 2nd at 7:30 PM, I’m co-hosting a shopping event at their store with fellow Boston Blogger Rachael of Threads For Thomas. We’d love to see some of our Boston friends there to enjoy cupcakes, champagne and shopping. It’s the perfect way to prepare for the summer wedding season! Thanks so much, Jen! You are too sweet 🙂 xoxo! Yes! Please come! Would love to meet you and have some champagne together! They have great accessories and an awesome selection of Gigi New York too!